Played 14 games, including four starts, primarily at the SAM LB position…set new career highs for a season in tackles (25), TFL (5.5) and interceptions (1.0)…made his first career start at Pitt on Sept. 2…set career marks for tackles (3) and TFLs (2.0) against Maryland…three tackles – including a tackle for loss – at Clemson…registered a career-high five tackles and recorded his first interception against Syracuse…had one tackle – a 13-yard sack – and one pass break-up against Idaho…helped Florida State’s defense lead the nation in scoring defense (12.1 ppg) and ranked third in total defense (281.4 ypg). Missed the entire season after sustaining a knee injury during fall camp. 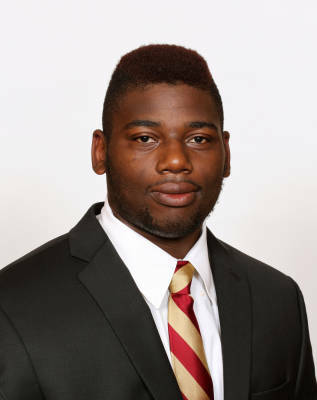 Redshirt sophomore who backed up Brandon Jenkins at right defensive end…a valuable member of FSU’s deep defensive line rotation…played in all 13 games for the Seminoles registering 16 tackles…tallied 4.5 tackles for loss on the season…also had a pass break-up to his credit…registered a career-high two tackles for loss against Charleston Southern…twice matched his single-game high with three tackles (Charleston Southern, Clemson)…recognized with one of four community service awards given out at the end of spring practice 2012. Redshirt freshman who backed up All-American Brandon Jenkins at right end and played well registering 18 tackles (13 solo) in 13 games…contributed three tackles for loss and two sacks…earned first career sack against BYU…posted a career-high three tackles in road win at Miami. Spent his redshirt season excelling on the practice field, earning Defensive Scout Team Co-MVP honors. Flew under the radar as a recruit after a broken foot cost him half of his senior season…earned only a two-star rating…caught 18 passes for 285 yards as a junior tight end…earned all-district honors as a junior and was a second-team all-region choice…an outstanding athlete who was a double-figure scorer on the basketball court as a junior and senior…was a standout on the track & field team at Oxford, where he hurdled and competed in the throw events…the son of former FSU standout defensive lineman Dan Footman…chose FSU over Arkansas State…born December 7, 1990.